Wertheim Pianos were originally produced in Germany from 1875-1908, and then from Richmond, a suburb of Melbourne, Australia. Around 18,000 upright pianos were made in Melbourne between 1908 and 1935. They were a popular all-purpose piano often found in schools and public halls, due to their reputation for requiring little maintenance. The famous Dame Nellie Melba frequently requested they be used during her performances. The business was very successful during the 1920s. However, the 1929 Depression, the radio and a decline in piano sales saw the factory close in 1935. 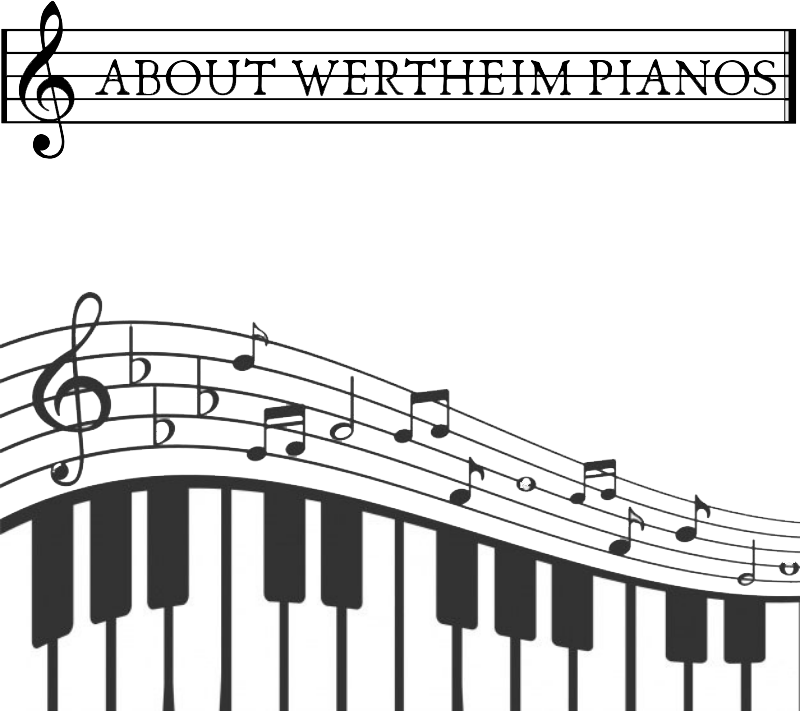 Wertheim moved to an Asian factory that produced pianos for Yamaha.